As many of you would know the Beagle Club of Victoria holds a hunt once a year in June over the Queen’s Birthday long weekend. I’m very happy to announce that we will be holding the hunt again this year on the weekend of June 10, 11, 12! I would like to thank Gwen and Doug and Gigi in advance for making their property near Mansfield available. Note well: you need to ensure that your membership is up to date to attend. As ever all events are open only to financial members of the club who have also taken out the liability insurance. There will be membership forms available at the hunt and you can renew your membership then. This is the most fun your dogs will ever have. It is amazing to watch them form a pack and work as a group. 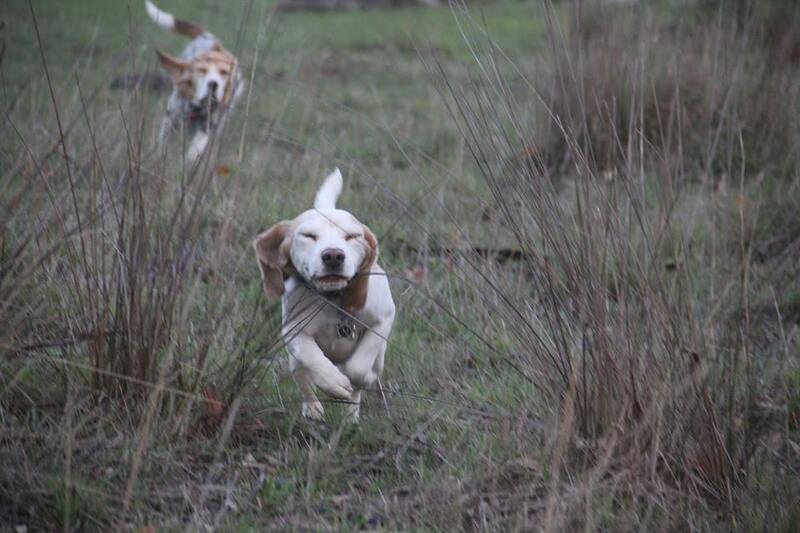 It is a drag hunt which means the beagles will hunt a scent laid upon the ground. There is no hunting of animals. Its not just about the beagles though! We all have a great time around the camp fire.